Julie Weymouth is committed to assisting homecoming military reintegrate into civilian life and helping them navigate the challenges that lie before them. Prior to dedicating her time and attention to the Homeland Heroes Foundation, Julie worked in the jewelry industry for over 15 years and was co-owner of a family-owned jewelry business. She is a graduate of Notre Dame College and lives in Salem NH with her husband Larry. Kim McMahon and her husband Charlie have 3 wonderful children and 2 granddaughters. 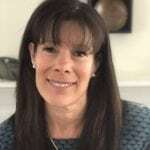 Their oldest son Charlie has cerebral palsy and they are very active in disability rights in New Hampshire as parents, as well as her husband serving as a NH State Representative on the Health, Human Services and Elderly Affairs Committee. 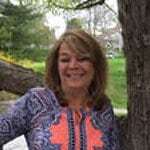 Kim partners with her husband as a Realtor “Team McMahon” serving NH and MA with Coco, Early & Associates out of the Windham, NH office. They are great supporters of the military and appreciate the huge sacrifices and challenges that face our men and women in the services. Through their affiliation with Homeland Heroes Foundation they have found a way to channel their resources and connections to help in a more personal way. Joe Lussier is an SVP in Finance at Enterprise Bank and brings over 20 years of financial and volunteer experience to Homeland Heroes. 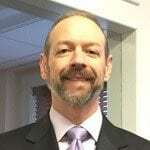 He has worked with several organizations as Treasurer and Board member including the Dracut Scholarship Foundation, the Franco American School, and the Lowell Transitional Living Center. 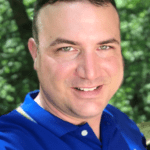 Joe is a Chartered Financial Analyst, a Certified Public Accountant and a graduate of Merrimack College. He lives in Windham, NH with his wife Lori. 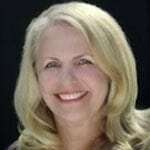 Liz Greenleaf is a former HR manager, dental office receptionist and employee of the Greater Salem Chamber of Commerce. A daughter of a WWII vet, sister of a Vietnam vet and aunt to an Army vet, Liz has a passion for giving back to our American Heroes. She is a year-round volunteer for Operation Christmas Child and is working to bring the Palace Theatre’s Kitchen Tour to Windham/Salem. She is a graduate of Northeastern University and lives in Windham with her husband and two sons. Mike Abodeely has worked in the Healthcare industry for the last twelve years as a Safe Patient Handling Specialist. In this capacity, he provides solutions to hospitals struggling with how to move or handle patients in a manner that is safest to both staff and patient alike. Mike became involved with the Homeland Heroes Foundation to give back to those who have given so much and now need help. He lives in Windham, NH with Lori, his wife of 29 years, and their dog Calvin. 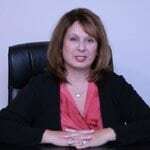 Madeline Berni is a former investment executive and GED instructor with the Greater Lawrence Community Action Council. She dedicates her life to helping others and has volunteered locally for the Shepherd’s Pantry, F.L.O.W., Windham’s Helping Hands, and has remained active with the Windham P.T.A. Madeline’s dedication to Homeland Heroes is in recognition and appreciation for the sacrifices made by our military. She lives with her husband Anthony Berni and their three children in Windham, NH. 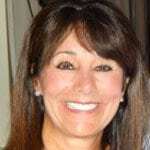 Kathy Dassler is a Quality Staff Engineer at Smith and Nephew and a member of its Camaraderie council, an internal organization for employee give-back and motivational activities. She is an active member of the Society of Women Engineers. Kathy is a benefactor of the Homeland Heroes Foundation since its inception and dedicated to assisting veterans with re-acclimation into civilian life. She is a graduate of Fitchburg State College, resides in Bradford, MA and the proud mother of two adults: a lance corporal in the marines and a student of criminal justice. Kelsey Ferdinando is an eighth grade English teacher at Windham Middle School where she is the girls’ basketball team coach and eighth-grade class advisor. Over the years, Kelsey has donated her time to non-profit organizations including the DKMS Bone Marrow Registry, Red Cross, NH food pantries, and her family’s charity, Susan K. Piper Charitable Foundation. She has been honored with the Miss America Community Service Award, the Deborah Howard Teacher Memorial Award, and the Donald C. Anderson Platform Award. Kelsey holds a bachelor’s and master’s degree from Southern New Hampshire University and lives in Derry, NH. 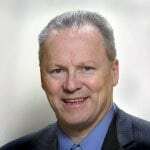 Charlie McMahon has been a Representative at the New Hampshire State House of Representatives since 2002 where he serves on the Committee for Health, Human Services and Elderly Affairs. 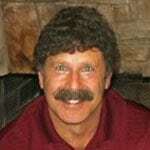 He is an award winning real estate agent with Coco, Early & Associates serving NH and MA out of the Windham, NH office. Charlie channels his resources and connections to help the Homeland Heroes Foundation better serve our active military and veterans. He lives with his wife Kimberly in Windham, NH. Navy Chaplain Arthur Briggs has committed his life to our Nation and those who serve it. He currently serves at the Portsmouth Naval Shipyard where he provides support for Navy, Army, Air Force, Marine Corps, and Coast Guard personnel and their families. Prior to his commissioning in the Navy, Arthur was an enlisted soldier in the Army and completed two deployments in Iraq and one in Afghanistan. A graduate of Liberty University (B.S.) and Regent University (MDiv), Arthur lives with his bride Jessica, daughter Giana and son Gideon in Kittery, ME. 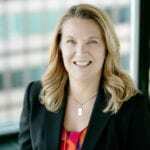 Deborah Overdeput is managing partner of DO Marketing Services and serves as a marketing strategist and consultant to financial services technology firms across the globe. Formerly the Head of Marketing at Sapient, she brings a wealth of experience to Homeland Heroes and has been instrumental in the rebrand of the organization and the development of its website. Deborah’s commitment to the re-acclimation of veterans is founded in her need to help those who have risked their lives to help others. She lives in Salem, NH with her husband Hugo and their two cairn terriers.